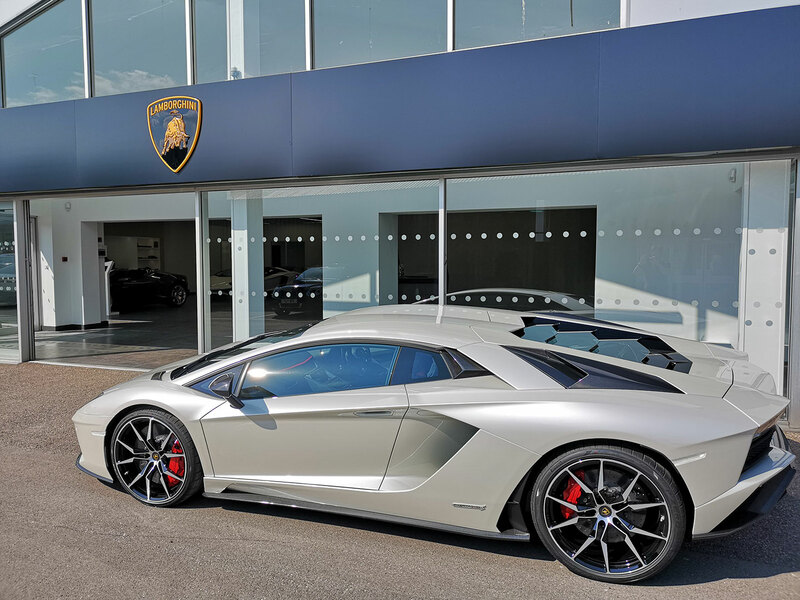 This Aventador S Coupe looks stunning in Balloon White, with an equally attractive interior in Nero Ade and Rosso Alala. This vehicle also features the Exterior Carbon with Style Pack, a Carbon Fiber Engine Bay, Cover and X-Frame, Magneto-Rheological Suspension with Lift System and Red Rear Springs, Dione Forged Rims Diamond Finished and Red Brake Calipers with a Wheel Centres in Carbon Fiber.The interior also features Alcantara throughout, the Full Carbon Fiber Pack, Branding Pack and the Visibility and Light Pack.For your driving comfort, you will also find Electric Heated Seats, Park Assist with Rear-View Camera, Sensonum Premium Sound, Lamborghini Radio with DAB, Telemetry System. FOR SAT NAV USERS: PLEASE ENTER EASTERN APPROACH rather than the postcode as this covers a large area.